As Bhartiya Janta Party's (BJP) B. S. Yeddyurappa took oath as Karnataka Chief Minister, former state chief Siddaramaiah on Thursday said that the BJP is going against the Constitution. "The matter is pending before the Court. 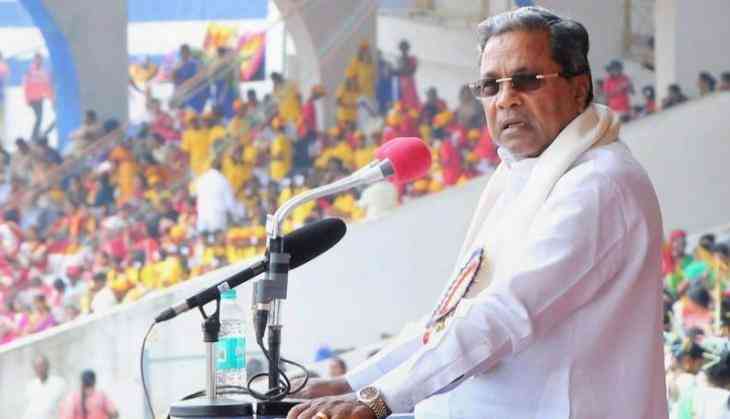 We will tell people how the BJP is going against the Constitution," Siddaramaiah told ANI. The Congress on Wednesday hit out at Karnataka Governor Vajubhai Rudabhai Vala and said that he shamed his office by inviting Yeddyurappa to form the government in the state. Congress Spokesperson Randeep Singh Surjewala said, "Governor has shamed his office." Yeddyurappa on Thursday for the third time took oath as the Chief Minister of Karnataka at the Raj Bhavan. Yeddyurappa took oath as the 23rd chief minister of Karnataka after the Supreme Court early today morning decided not to put a stay on the swearing-in while conducting a post-midnight hearing, wherein Congress and JD(S) pleaded for the same citing BJP's inadequate strength in the assembly to stake claim at forming the state government. The three-judge bench of Justice A.K. Sikri, Justice Ashok Bhushan and Justice SA Bobde, however, did not dismiss the petition filed by the two parties and said: "This petition is a subject of hearing later on". The next hearing will take place on later today at 10:30 am. Late last night, Congress and JD(S) challenged Karnataka Governor Vajubhai R. Vala's decision in the top court to invite BJP to form the government even when the saffron party, with 105 MLAs, including one Independent MLA, is seven short of the halfway mark of 112. They contended that they, with a total strength of 115 MLAs, are in a better position to form the government. Though Vala has invited the BJP to form the government, he has given 15 days to the saffron party to prove its majority in the state assembly.